To create a focus point in the garden, you can use pots of plants in a group. Using different shapes, colors and levels, and a variety of materials to add to the interest, your container planting can create a garden full of energy. 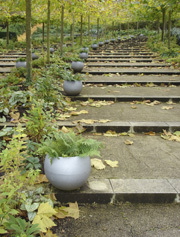 Steps are a great opportunity for lining up pots to one side, giving color to a plain setting. Potted plants are the most versatile form of gardening. Surround the seating areas with carefully placed pots and hanging baskets to add a bright, colorful show. The seating areas will become part of the whole garden, somewhere to relax and enjoy the scenery. You can also create a container garden right in the heart of the city, using your balcony or roof space. Containers are perfect for mixing a variety of plants, colors, textures, and shapes; plant them individually then group them together to create a floral explosion. Don't forget your walls and empty spaces; hanging baskets add an extra dimension. Apart from planting outdoor, like greenery, potted plants and trees are completely versatile in any interior décor. They can be used to decorate what would otherwise be bare, unusable corners, or to serve as "buffers" by subtly directing traffic between rooms or closing off an interior space. Plants on stands can range from a few feet to six or seven feet in height, giving the consumer a wide range of areas for placement of these impressive plantings. Traditional containers are pottery derived from fired clay or earthenware. 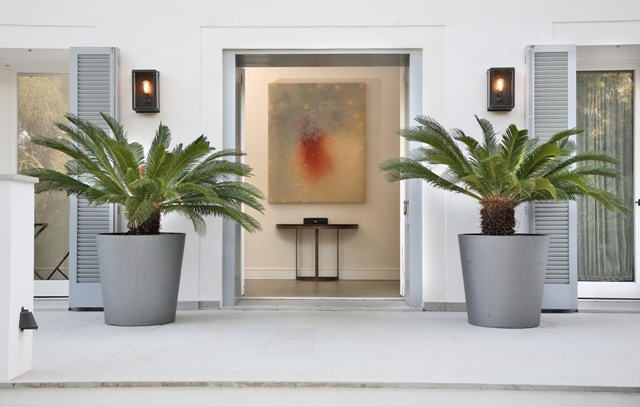 Estate planters used to be made of stone or concrete, which effuse a stately elegance but also made them very heavy. 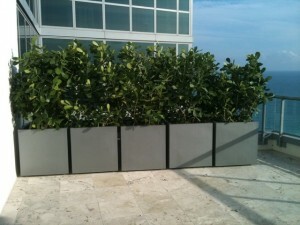 The trend is continuing to see planters made of lightweight materials: fiberstone, fiberglass and polyethylene. These lightweight garden planters are finished to look like they are made of the real thing: stone, concrete or metal. Some even have textures like stone or metal that you can actually feel. The key advantages: easy handling due to their lightweight, durability ((they do not break or chip easily like real stone or fired clay and earthenware planters do), frost-proof, and versatility (they come in a great variety of shapes, designs, colors and finishes).